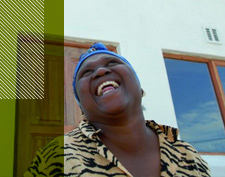 There are over 100,000 organisations that currently implement social development projects in South Africa. Impact Consulting partners with non-profit organisations, donors, corporate social investment departments and government departments providing specialised services that help them to maximise their positive impact. We believe that monitoring and evaluation are essential strategic and management mechanisms for projects and organisations to reflect on their work. Regular monitoring and rigorous evaluation allow organisations to learn from their experiences and develop strategies to improve programmes so that they can have more positive impact and become more sustainable. Clear impact plans with intended outcomes and indicators means that organisations can track and accurately report on their work, which enhances accountability. A general lack of documentation has resulted in African non-profits becoming overly reliant on Western knowledge, models and practices. Unfortunately, these are often not suitable for our unique context. Impact Consulting aims to encourage the documentation and production of African-based knowledge. We do this through producing evaluation reports that can be widely disseminated, by providing organisations with innovative information management tools and by creating resources that can be used for training and information sharing documentation. This encourages the creation and sharing of locally relevant models and practices that are informed by reflection and research. When non-profit organisations become financially sustainable, the impact that they have on their beneficiary target groups can be increased, as they have the means to plan long-term interventions. They can also focus more resources and time on programme implementation and less on fundraising. 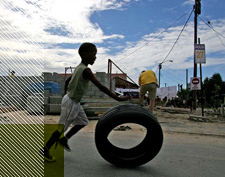 The South African non-profit sector currently relies heavily on international funders. 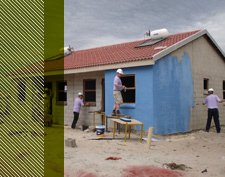 With our partners, we aim to help South African non-profits to achieve financial sustainability through the development of social entrepreneurship models and increasing access to funds other than philanthropic donations. In addition, we work with them to develop coherent advancement and development strategies that include the promotion of local individual and corporate giving. All our services and products aim to promote sustainability, accountability and positive impact in the social development sector.